People are increasingly able to control more of their technology devices by simply talking to them. What started as digital assistants in phones that responded to your voice requests and questions, like Siri and Google, quickly moved to smart speakers and displays (made most popular by Amazon’s Alexa-enabled devices). But now that voice technology is being implemented into practically everything—here is just a small sample of the latest devices with voice control. Smart displays like the Amazon Echo Show are built for countertops, but LG is putting similar functionality on the big screen with its OLED C8 TVs ($1,699.99 and up). 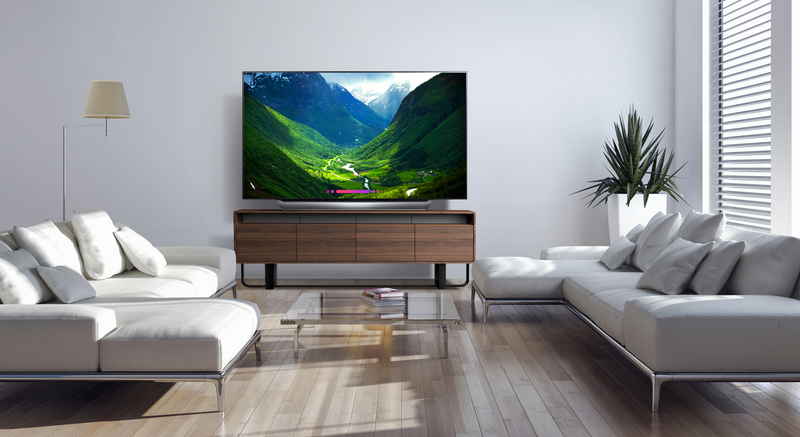 In addition to stunning picture and sound quality, these TVs are built with the LG OLED-exclusive α9 Intelligent Processor and LG ThinQ AI, which has Google Assistant built-in. So, in addition to using your voice to change channels, you can also control other smart home devices, tell your TV to launch your game console, pull up photos, check the weather or sports scores, and much more. The HP Tango ($149) and HP Tango X ($199) is being described by the company as the world’s first smart home printer. One reason why: It is the first printer with a cloud-based, two-way network connection that lets you print from any device anywhere. It also connects to your Amazon Echo, Google Home, or Microsoft Cortana devices so you can activate printing via your voice. And the printer’s smart app lets you scan and print things from your phone. It also automatically buys new ink when you are running low. The Yuneec Mantis Q ($499.99) has many exciting features for drone lovers, including the fact that it is foldable so it can easily be tucked into your bag. And not only can the drone record high-resolution 4K photos and videos, but it also has face recognition technology that will automatically take photos of people it recognizes. The drone also can be controlled through voice commands such as take a selfie, record a video, or “wake up” in order to power on. As Amazon Echo devices grow in popularity, the company is making more products that link up to those smart speakers/displays so they can also be controlled through Alexa commands. That includes the AmazonBasics Microwave ($59.99) which allows you to just say, “Alexa, reheat my coffee,” and thanks to quick-cook presets, it will start reheating with the appropriate power and time settings. You can also sign up for automatic popcorn replenishment, and the microwave will keep track of whenever you make popcorn with a voice command or the popcorn button and order more when you are running low. Another Amazon product that links to Echo devices to enable voice commands is the Echo Wall Clock ($29.99). Just tell Alexa to set one or multiple timers on a compatible Echo device and the clock will display the time remaining for each active timer as well as display a countdown animation for the last 60 seconds. Basically, it just makes it easier to set hands-free timers and also keep track of them throughout the house, that is if you happen to have multiple Echo Wall Clocks.